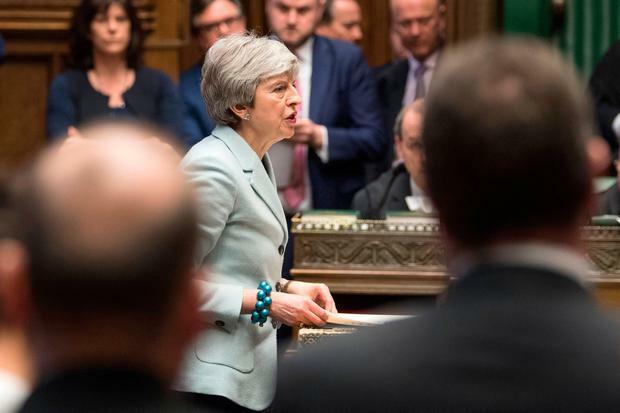 The British Prime Minister will address the Conservative backbench 1922 Committee as MPs consider alternatives to her Brexit strategy after seizing control of the Commons timetable. Mrs May's fragile authority suffered another blow as three ministers last night quit to back a Parliament amendment enabling MPs to take control of House of Commons business to stage a series of "indicative votes" on alternatives to her deal. 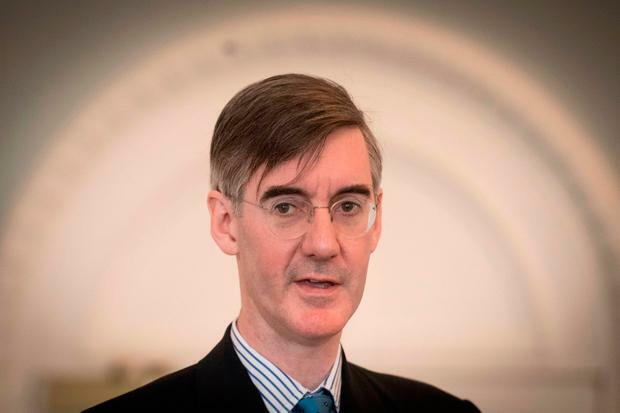 But Eurosceptics signalled they could now swing reluctantly behind Mrs May's deal, with influential backbencher Jacob Rees-Mogg saying "the choice seems to be Mrs May's deal or no Brexit". The chairman of the European Research Group of Tory Eurosceptic MPs, said “the choice seems to be Mrs May’s deal or no Brexit”. His comments will give hope to Mrs May that she can still get the Withdrawal Agreement through the House of Commons before April 12. MPs voted last night to ‘take back control’ and will tomorrow vote on a series of options ranging from no deal to a second referendum or even revoking Article 50. Mr Rees-Mogg said it was now clear Mrs May would not deliver a no-deal Brexit and as a result Eurosceptic MPs would “eventually” face the choice between the PM’s agreement or staying in the EU. He told the ConservativeHome podcast: "Whether we are there yet is another matter but I have always thought that no deal is better than Mrs May's deal but Mrs May's deal is better than not leaving at all. "There is a sort of hierarchy of choice and if the choice is the one you suggest then inevitably leaving the European Union, even leaving it inadequately and having work to do afterwards, is better than not leaving at all." Mr Rees-Mogg went even further in a tweet when he said: "The choice seems to be Mrs May’s deal or no Brexit." The three ministers who quit were among 30 Conservative MPs to defy the whips and support the cross-party amendment which was passed by 329 to 302 - a majority of 27 - in another humiliating reverse for Mrs May. Alistair Burt, who quit his British Foreign Office role in order to vote for the Commons amendment, said: "Parliament should seek urgently to resolve the situation by considering alternatives freely, without the instruction of party whips, and Government should adopt any feasible outcome as its own in order to progress matters. But Mr Brine said: "You also have to remember that the manifesto of 2017 did not win a majority in the House of Commons." Explainer: What are the indicative votes on Brexit?